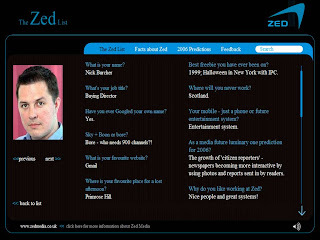 In late 2005 we published the Zed List (www.zedlist.co.uk.) We quizzed various media luminaries who were 'missed out' from Campaign Magazines A List. A good response from everyone featured - here's my entry!